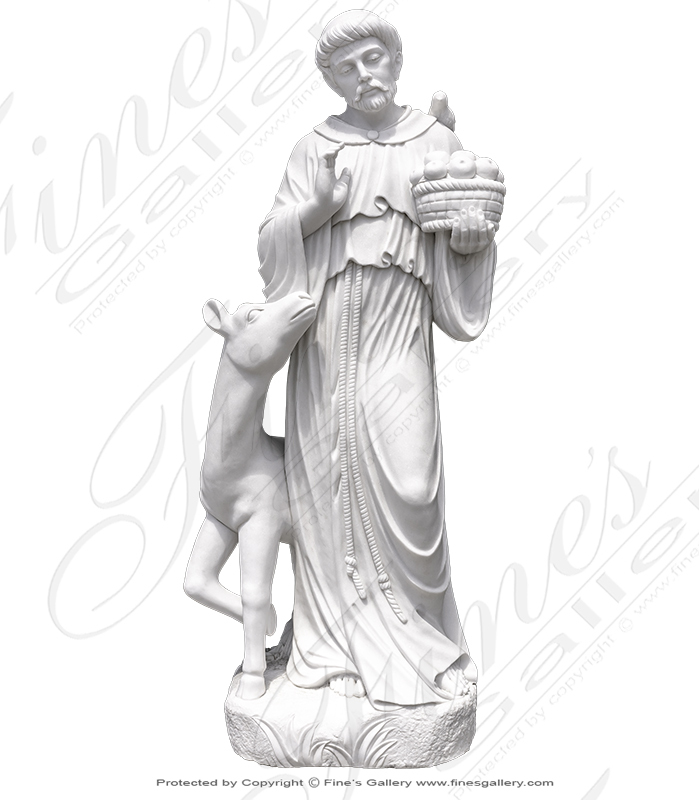 A very life like hand carved cream marble St Francis statue. Amazing detail throughout includes a very substantial base along with engraving in the stone. Antique white marble angel with trumpet statue. this magnificent angel is stunningly life-like in her beauty. 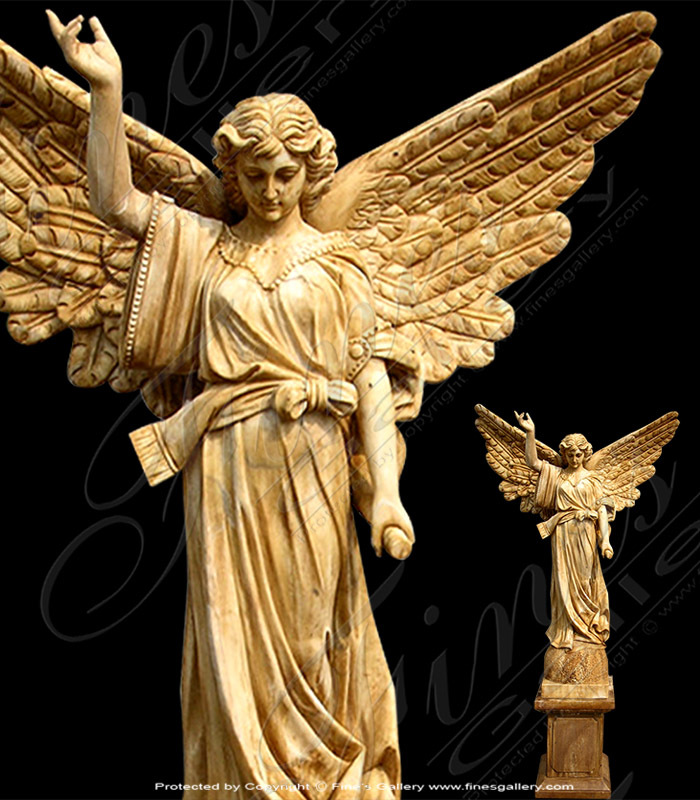 Hand carved with fine detail, she stands tall with wings outstretched and hand raised to the sky. A beautiful piece to create a garden sanctuary. 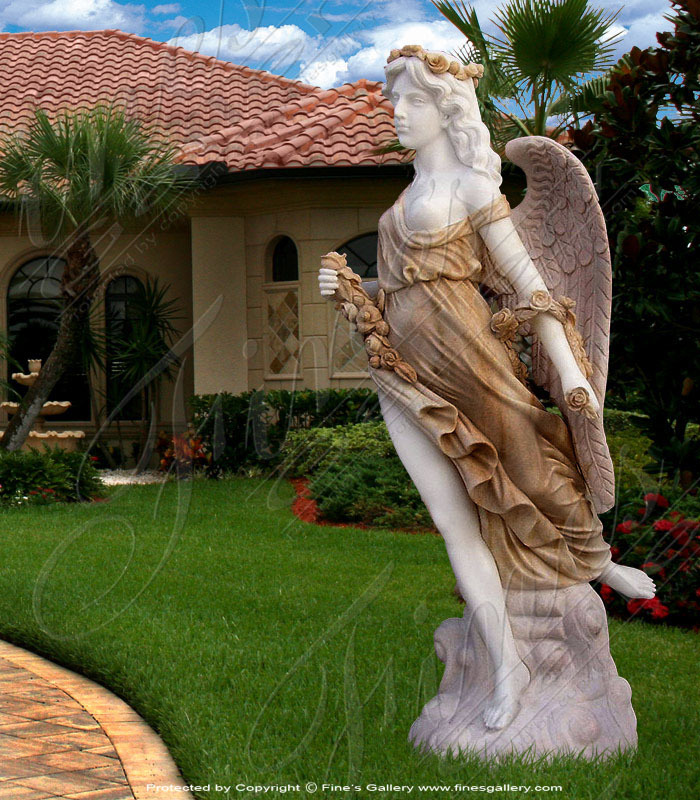 This captivating marble statue of aromantic angel enchants all with her beauty. Made from a combination of marble tones, she is draped in a luxurious golden gown and shown with roses in her hands and hair. Contact us today for a customized quote. 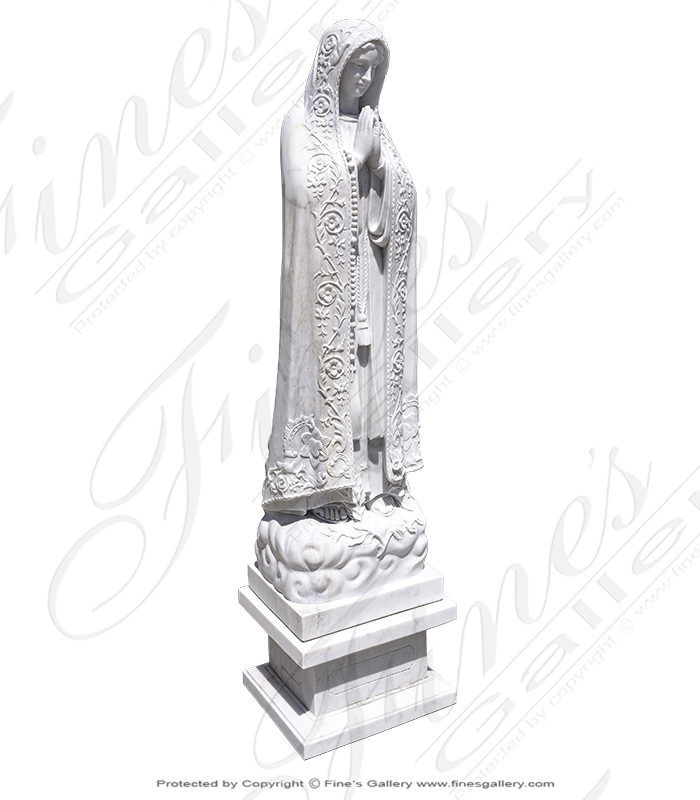 This beautiful white marble Fatima statue is expertly hand carved with such amazing and life-like detail in fine white marble. She wears a gorgeously decorated long veil and clasps her hands together in prayer. A magnificent work of art. in production. 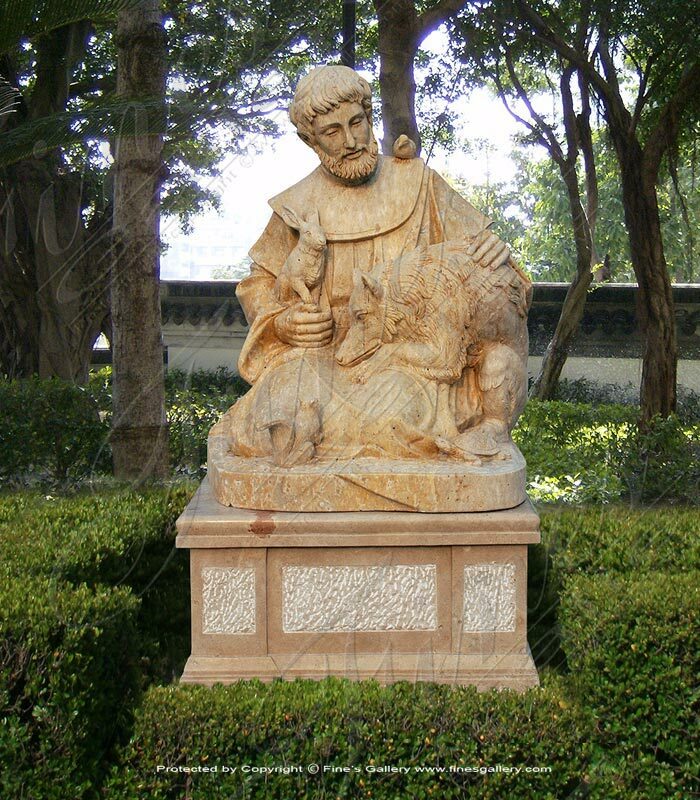 This beautiful marble statue of Saint Francis of Assisi portrays him lovingly seated with the wild animals of the forest. Carved from natural beige and tan marbles, his gentle presence will be a reminder to all of the love of nature and animals. 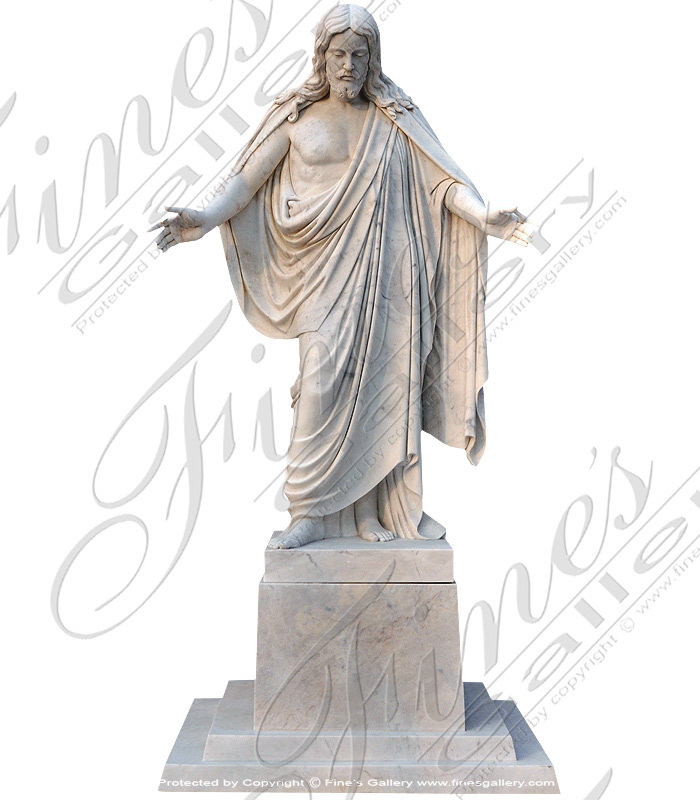 An amazing white marble Jesus Christ statue in long robes with arms outstretched. An incredible work of art made from white marble with highly realistic details. Statue is 68" tall. 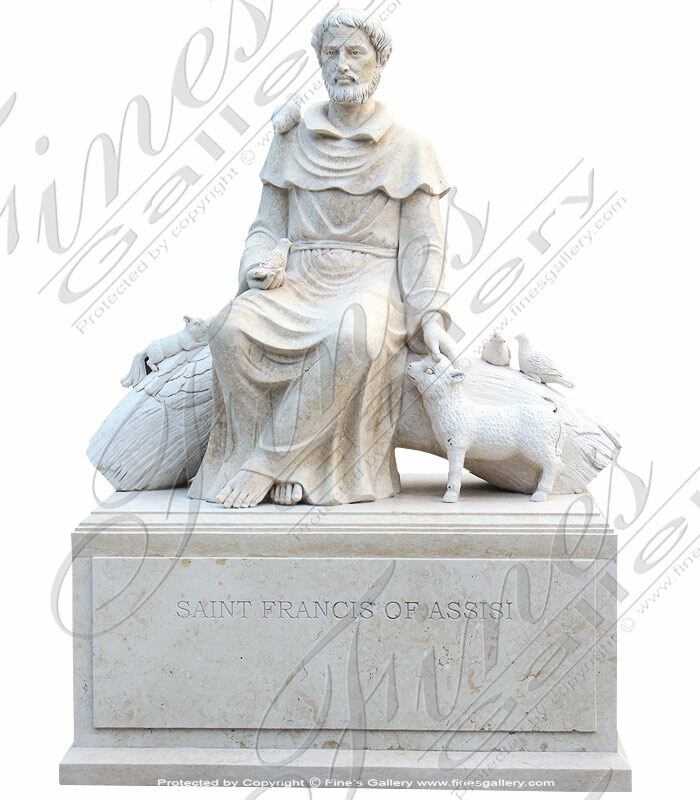 Over sized marble st francis statue. Carved from 100% natural solid marble. 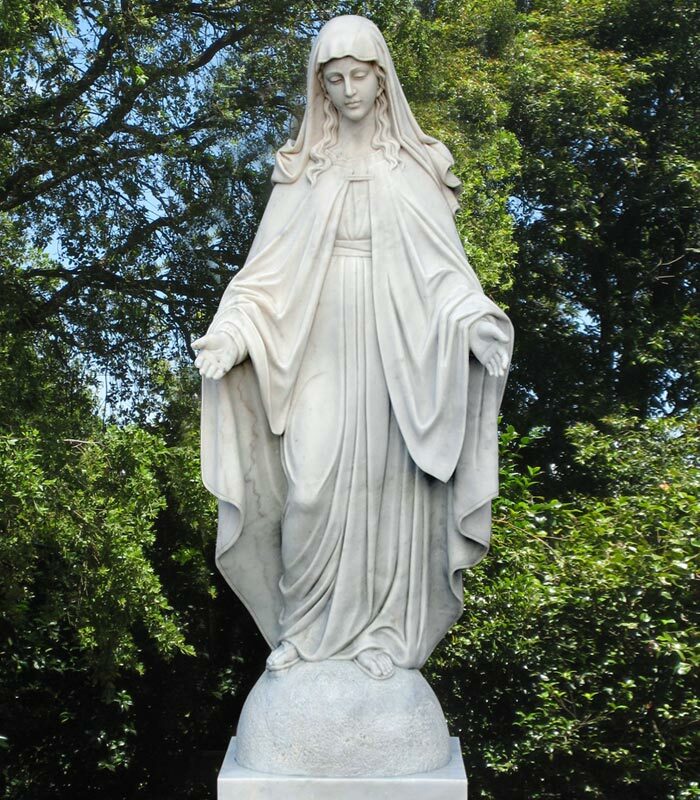 This magnificent marble immaculate conception statue is hand carved from pure white marble. She stands with hands turned upwards, a look of peaceful wisdom on her face, and realistic flowing garments. Base sold seperately! 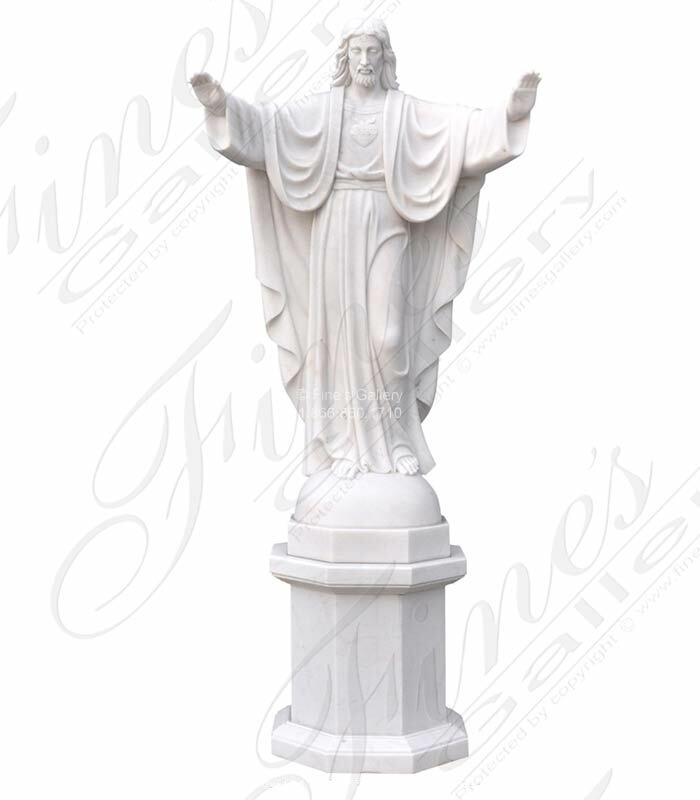 This beautiful marble statue of the Sacred Heart of Jesus is stunning in its realistic detail. From his peaceful facial features, outstretched arms, and highly realistic cascading garments, this portrait of Christ is a work of marble mastery. Hand carved from a solid block of white marble, naturally quarried from the earth. 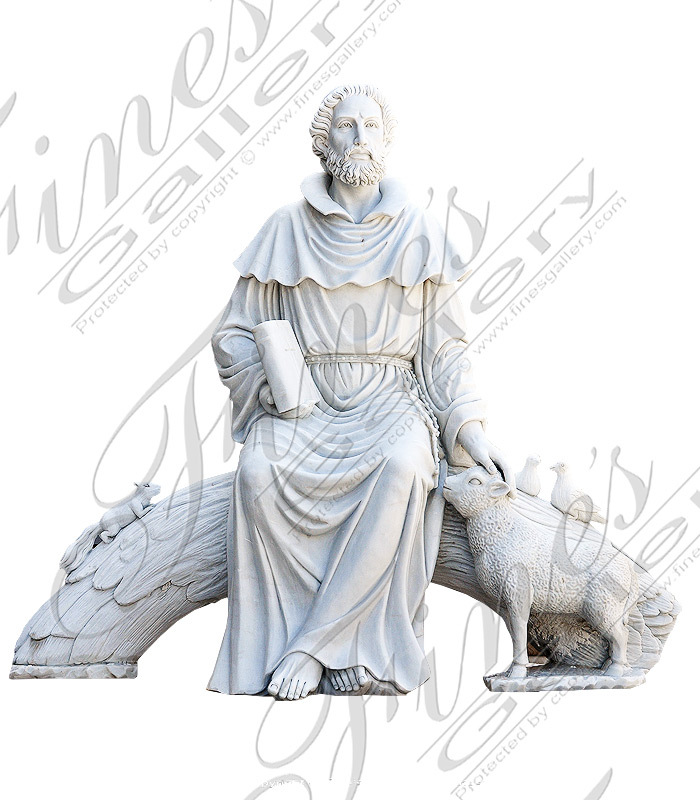 Saint Francis marble statue stands peacefully with the rabbit, wolf and bird. This statue available starting at three feet up to life size. Base included. 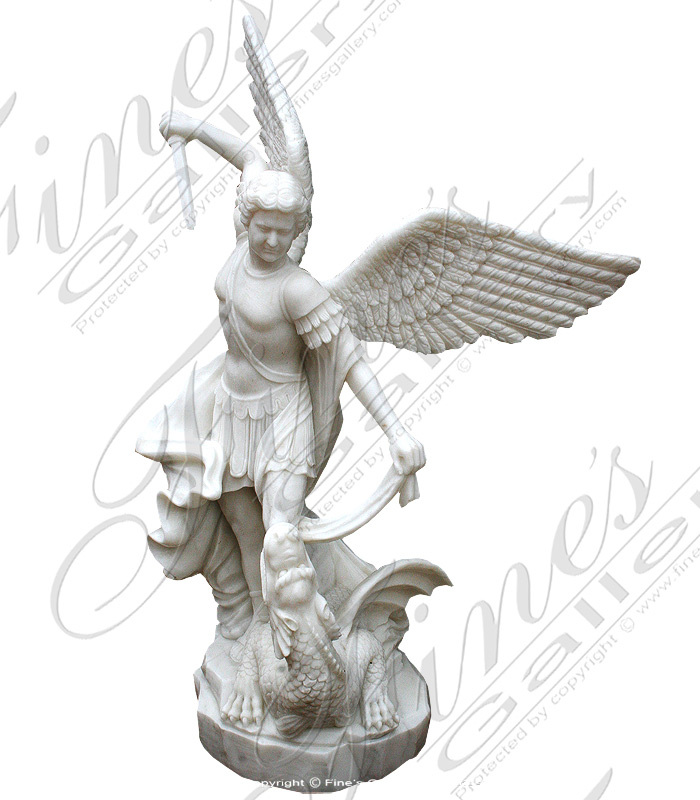 This ornate hand carved marble saint michael statue has been carved in pure white marble! 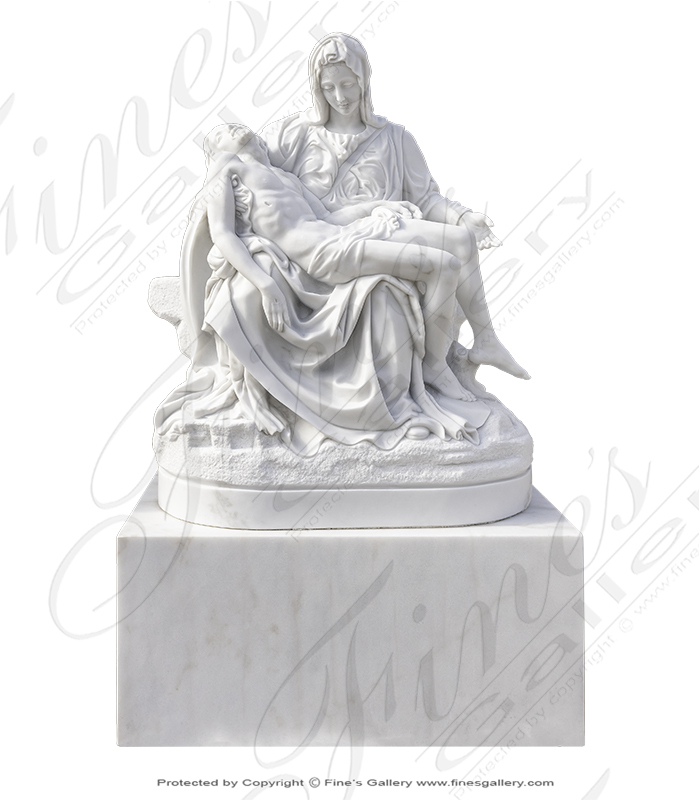 A beautiful white marble statue of Pieta. 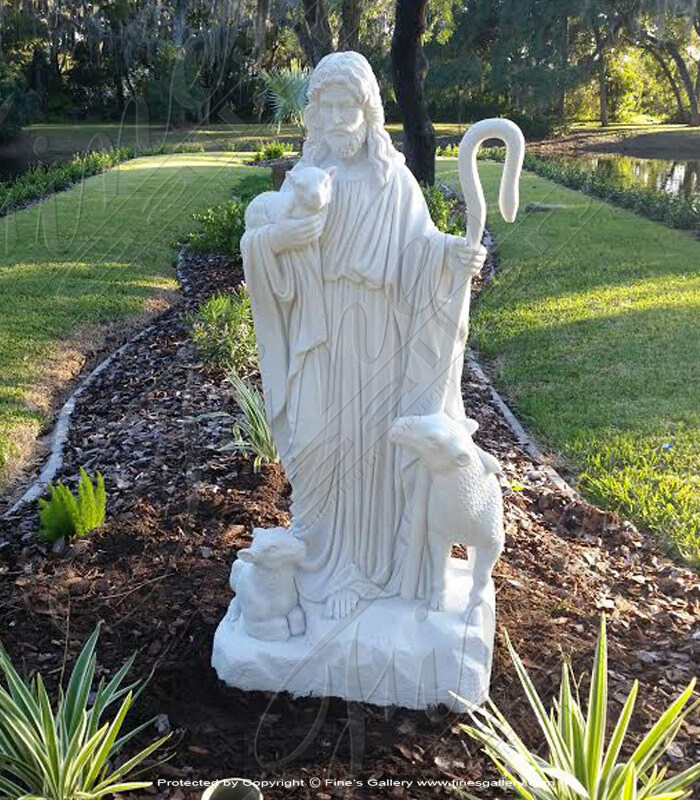 All hand carved from natural solid white marble. Includes beautiful white marble pedestal. Available as shown or customize. Did you know we have one of the largest Marble Statuary showrooms in the US or Abroad? 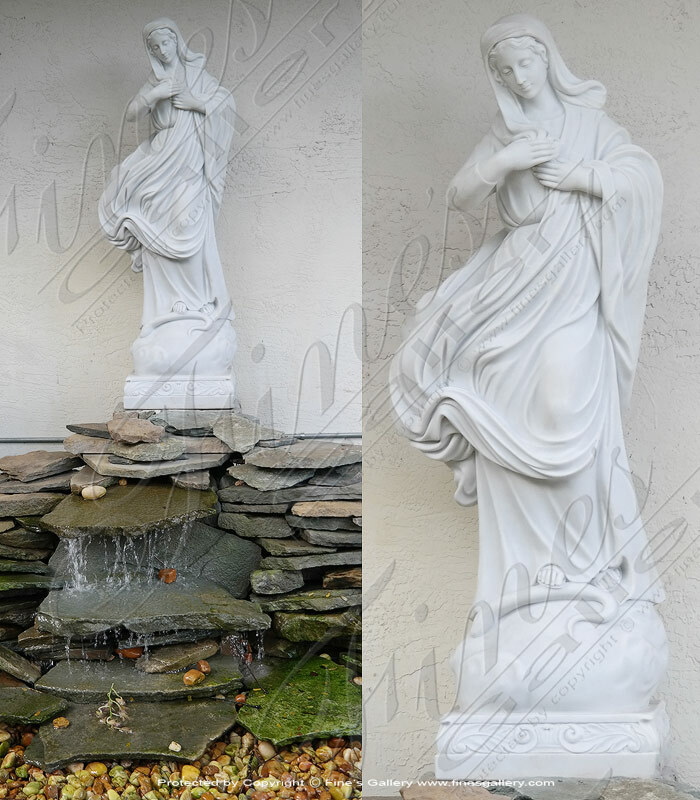 This amazing Immaculate Conception Marble Statue has been hand carved from a very fine white marble. Available at any size starting at 18 inches up to larger than life! 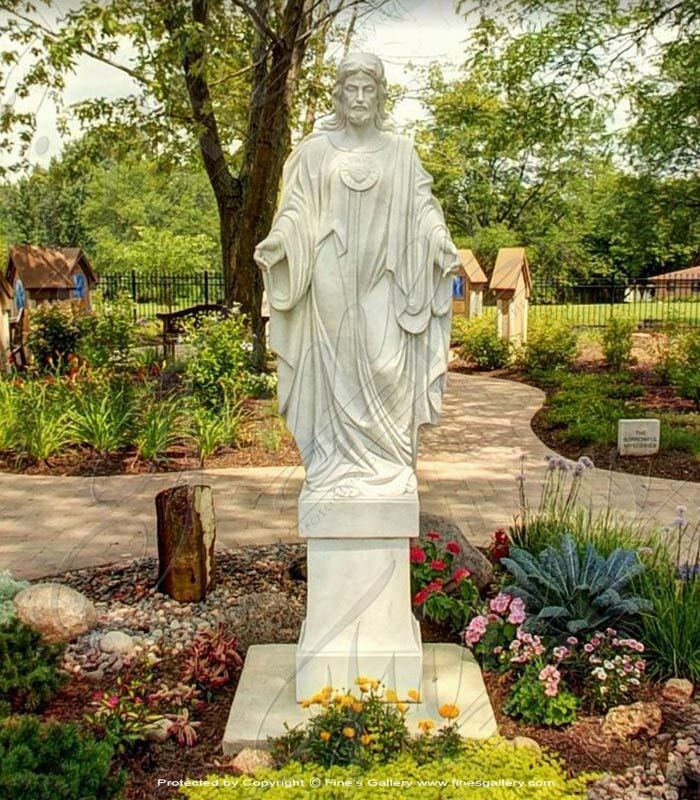 This impressive oversized White Jesus Christ Marble Statue measures just over six feet tall and four feet wide. Included with 27 and a half inch tall matching marble pedestal. 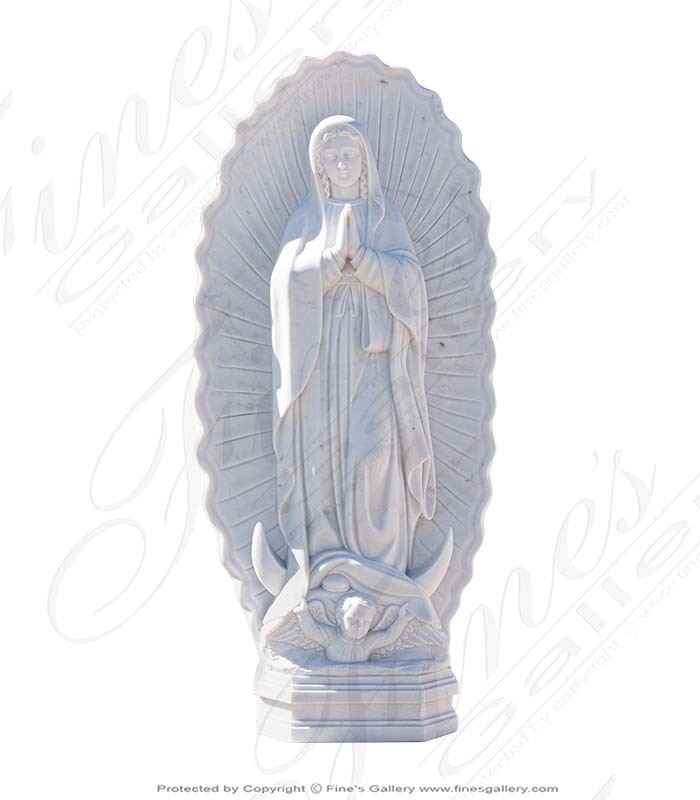 Our Lady of Guadalupe hand carved in solid white marble. Base sold seperately.